Congratulations to Heather Hodgson and Roya Nabi on earning first place in the 2016 IPSF Anti-counterfeit Drug Campaign. Jasmine Greenwald, Logan Underwood, Meghanne Rieder, and Andrew Groat earned second place in the Pharmafacts Bowl. CAPSI University of Saskatchewan earned second place in the Award for Professionalism for their efforts during Pharmacist Awareness Month 2016. Congratulations to Kelsey Joorisity, Kaitlyn Tress, and the 90 students who volunteered their time. Lin Wang earned third place in the Patient Interview Competition. Caitlyn McGrath accepted the CAPSI-Pfizer Consumer Healthcare Guy Genest Passion for Pharmacy Award for Saskatchewan, and the Pfizer Leadership Award for serving as CAPSI National President. The CAPSI National Council met during the four days of the conference and discussed pertinent topics and strategic planned for the upcoming semester. 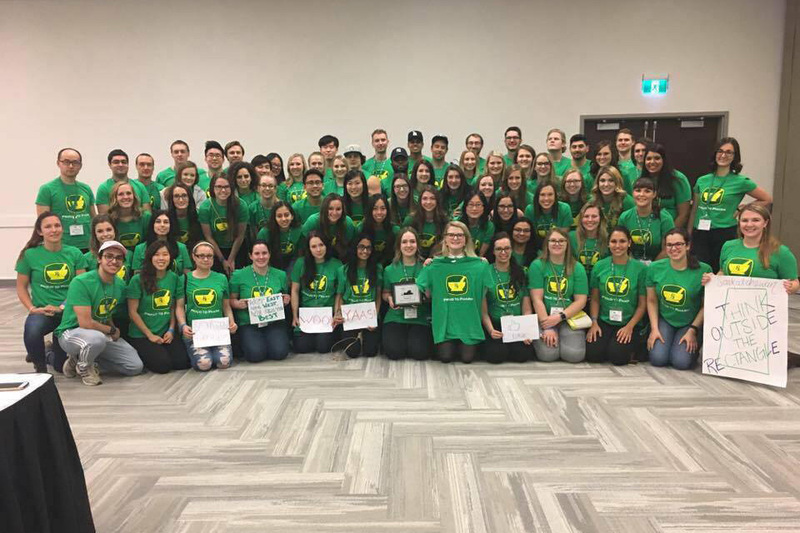 National Council members from U of S include Caitlin McGrath (National President), Sophie Châtillon (Finance Officer), Darren Reithmeier (CAPSIL Editor), Samantha Cunningham (CSHP Liaison), Kaitlyn Tress (CAPSI Senior), and Shivani Trivedi (CAPSI Junior). Caitlin McGrath will transition to the CAPSI Past-President position. Kaitlyn Tress has been elected the CAPSI Secretary. Shivani Trivedi will transition to the CAPSI Senior position.